Land Registration: How to perfect title instruments to land in Nigeria: The land registration process and procedure - Law Firm in Nigeria - Lawyers in Nigeria. 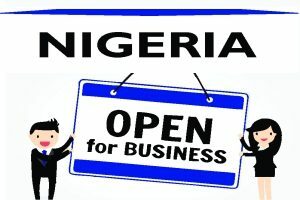 This article is a guide to land registration and perfecting title documents to land in Nigeria. What Is Important to Note about Land Registration? It is important for every land purchaser to understand that having a good title to land (what in layman terms is “ownership of land”) goes beyond merely paying money to buy a piece of land from a vendor and signing an “Agreement” expressed as an “Irrevocable Power of Attorney”. 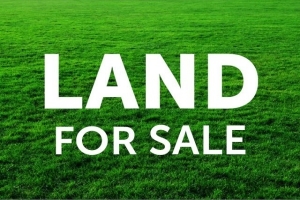 A land purchaser is required by law to “perfect” the land transaction to secure his ownership rights to avoid future risks associated with land transactions. “Land” is used here to include buildings, real estate, real property and undeveloped land. “Perfection” of title to land entails the (1) Stamping, (2) Registration and (3) Obtaining the consent of the Governor over the land so acquired. Under the Land Use Act, it is the consent of the Governor that confers validity to the act of alienation of any interest in the land. Where the land is subject to customary right of occupancy, the consent required is that of the local government authority where the land is situated. Where you have acquired land through an instrument expressed as Deed of Assignment, Deed of Conveyance, Legal Mortgage, Irrevocable Power of Attorney, Transfer of Certificate of Occupancy, etc., it is mandatory that you pay the appropriate stamp duties on the instrument, register the instrument at the state Lands Registry (and at the Corporate Affairs Commission – where you are a company) and obtain the required consent from the governor (the overlord). Registration/Perfection gives an indication that the land is encumbered by you, any subsequent purchaser would be duly notified upon investigating the title at the Lands Registry. Perfection raises a presumption of land ownership in your favour against every other person who lacks a better title. Perfection passes a legal estate in the land. Where the land remains unregistered, your interest is in equity only and not legal. Non-registration renders the documents inadmissible in evidence to prove your title. You may not be entitled to receive compensation from the government if the land is compulsorily acquired for overriding public interest. Perfection prevents fraud and problems arising from the suppression or omission of instruments when the title is deduced, in case of subsequent transactions it would show your registered interest in the said property. Your registered instrument rank in priority according to the order of registration (1st in time is stronger in law). Your title documents must be registered otherwise they are void in law. How to Perfect Your Land Title? After paying the purchase price of the piece of land and signing relevant paper documents with the seller/vendor, it is mandatory by law that you secure your title to the land through the process of registration undertaken at the Land Registry. Building plan and a photograph of property. The solicitor will file for perfection through a written application to the office of the Surveyor General for charting, accompanying same with Completed Form 1c sworn to before a Magistrate or Notary Public and a letter for consent by the Governor. Because of the associated problems and procedural complexities involved in perfecting title to land, the information provided herein is for general informational purposes only and must not be construed as the substitute for legal guidance. If you want to perfect your title to land; seek proper legal advice and help from a solicitor. You can request in-office consultations with me on – Telephone: +2348187019206, 08039795959 | Email: edoabasi.udo@lexartifexllp.com | Website: www.lexartifexllp.com. The permission given to freely copy this article is only on the condition that LEX ARTIFEX LLP is referenced and duly acknowledged as the Author using the following format: “This article was written by Lex Artifex LLP’s Real Estate Advisory Group. View the original article at http://lexartifexllp.com/land-registration/”. Note that any copyright infringement shall be punishable under applicable law.